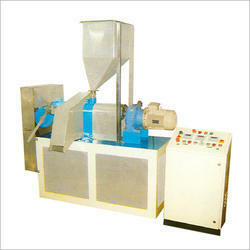 We are leading Manufactures of Popcorn making Machine. 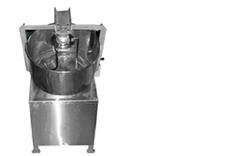 Popcorn Making Machines are made by making use of the high-quality Stainless Steel of grades SS 304 & 202 and Mild Steel, the Popcorn Popper Machine is efficient in performance and long lasting in nature. 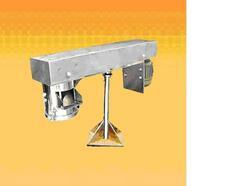 We are a well-reckoned Popcorn Popper Machine Manufacturer, Supplier, and Exporter in India. 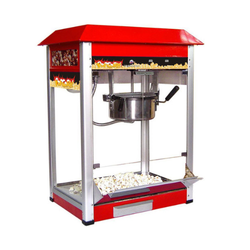 The Popcorn Popper Machine can be availed from us at the most competitive prices. Shampoo Packaging Machine offered is available in working capacities of 100Ltr to 500Ltr and come in fiber or stainless steel barrel support. Also featuring stirrer shaft in stainless steel material, it is available in different working capacities and offers clean and durable packaging support in involved processes. Further, these machines come fabricated in accordance to GMP standards and are mounted on movable caster wheels that allow easy movement. For more process convenience, these also come with adjustable volumetric cups for changing fill volume size. 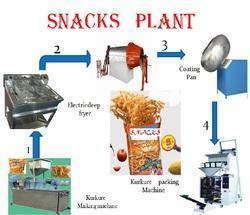 We are leading manufactures, supplier & exporter of kurkure plant, the whole plant consist 5 machines. For heavy duty mixing in the kitchens, our Dough Kneading Machine bring the perfection. 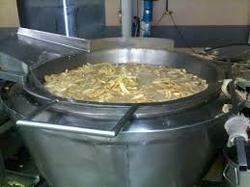 These are also made-up of stainless steel with rotating stainless steel arms & bowls. These make the mixing of dough easier for preparing chapatis, puris etc. Although these can be used for domestic purpose but these are more suitable in bakeries, hotels, industrial canteens restaurants etc, where mixing. Kurkure Making Machine offered are designed to handle high packaging quantity of 80 to 90 kilogram per hour and can be offered in different motor types such as A.C motor 20 H.P and gear motor 5H P.A.C. Serving use in food processing industries, these are developed as per GMP standards and provides for less power consumption and safe usage. Further, our Kurkure Extruder Machine are available as per international quality standards & norms and ensure these provide usage as continuous cooking food extruder that allows quick production of direct expanded snacks. Machines can be offered in different motor types such as A.C motor 20 H.P and gear motor 5H P.A.C. Our machines can package 80 to 90 kilogram per hour. We provide our machine in different motor types such as A.C motor 20 H.P and gear motor 5H P.A.C. Backed by vast industry experience, we are presenting a quality assured range of Special Purpose Machines i.e Snacks Foods Extruder, Snacks making machine. Snacks Foods Extruder are manufactured employing quality approved raw materials, in accordance with international quality guidelines. We offer our range in both A.C Motor 20 H.P and D.C motor 1 H.P. These machines have the capacity to pack 50 to 60 kilogram per hour. Our offered range is available in various parameters according to the client requirements. Leveraging on our expertise and experience, we are offering our esteemed clients with a qualitative range of Namkeen Making Kadai. These are ideal for making different types of namkeen products and manufactured using quality stainless steel. Our range complies with international quality standards and is also made available in customized specifications as per the requirements of our clients. 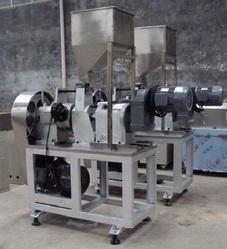 Looking for Snacks Foods Extruder ?